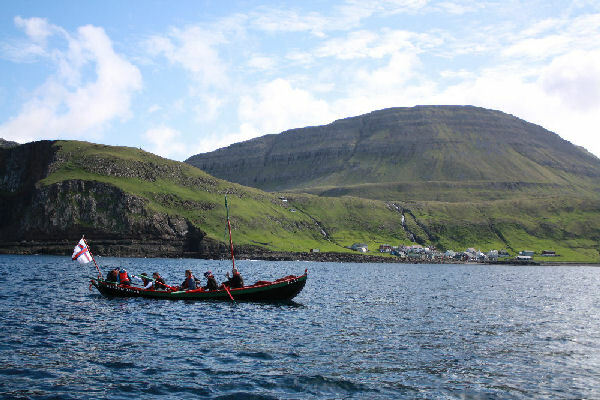 Norðstjørnan, in english The North Star, is a 8 oar boat owned by people from the small village of Nes, on the north side of Vágurfjord. Norðstjørnan is built by Johan Midjord á Økrum (a small village on the south side of Vágurfjord) in 1902. Norðstjørnan is 24,35 feet long, 5,9 feet wide and 1,85 feet deep. Norstjørnan has its boathouse by the small quay on Nesi.